Hatha yoga for all levels, pranayama, and meditation. In this lesson, we always have an issue that we approach with all the tools of yoga, but also with the conscious mind, by understanding and connecting the techniques better. Suitable for pregnant women. Hatha yoga, pranayama, and meditation. 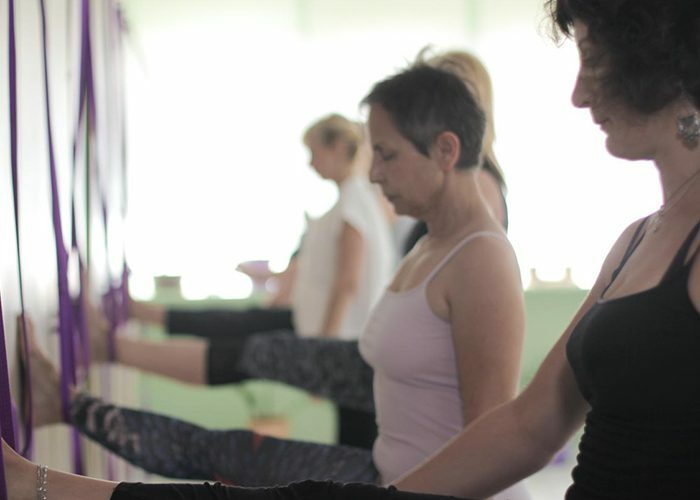 In this lesson we work specifically on a part of the body that we are focused on or an asana, trying to deepen our practice and understanding our positions and body within them. Hatha yoga using help techniques, pranayama, and meditation. In this lesson we work on healing techniques, we work consciously with a lot of emphasis on breathing. Suitable for pregnant women. Hatha yoga using help techniques, pranayama, and meditation. In this lesson we work on advanced healing techniques, we work consciously with a lot of emphasis on breathing. Suitable for pregnant women. In this lesson, we work in static positions to rest and recover the body and spirit from all the action of the week. Often the lessons refer to philosophical aspects of yoga, bringing the mind into practice as well through the body. Suitable for pregnant women. Deep relaxation, concentration of the senses and meditation. All practice is done in savasana (supreme on the ground) and is suitable for all, experienced and non-trainees.